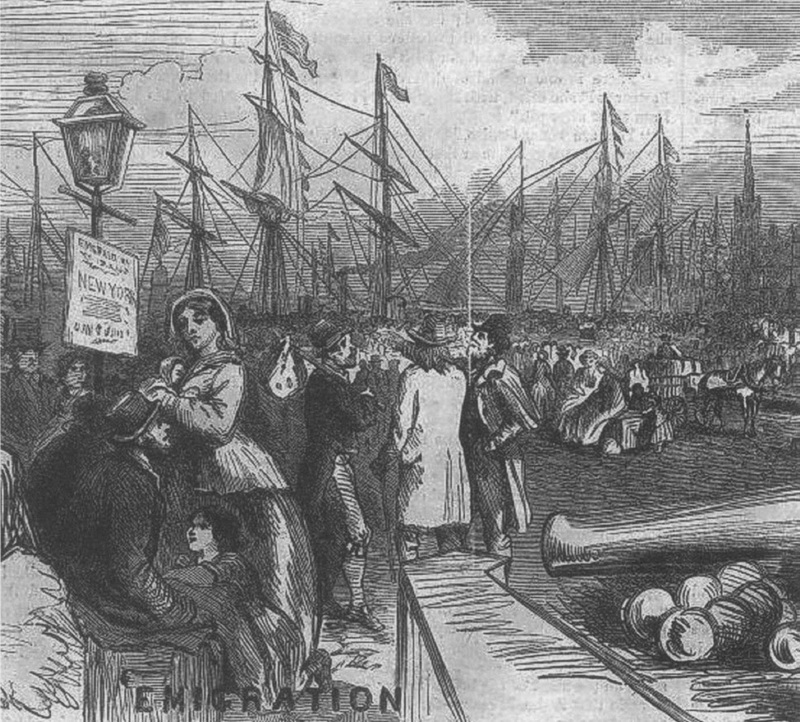 This image of Irish emigrants waiting to board ships to New York comes from an 1866 edition of Harper's Weekly. There is a large crowd on the docks with many ships moored and ready to bring them across the Atlantic. The image was sourced from the Historical Archaeology journal. 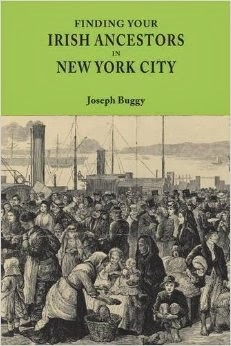 Linn, Meredith B. Elixir of Emigration: Soda Water and the Making of Irish Americans in Nineteenth-Century New York City. Historical Archaeology. Vol. 44. No. 4. 2010. p. 73.